Learn the basics and the advanced features of Xero, enabling you to take full advantage of the power of online bookkeeping. Raising and posting invoices, dealing with bank feeds and reconciliations, adding and editing contacts, creating manual journals, sending invoices and statements, using tracking and an overview of reports. All training included in the 2-hour session plus dealing with stock, dealing with fixed assets, customising invoice templates and reports, cash coding, an overview of apps and an introduction to payroll. This session includes setting up direct bank feeds, dealing with invoice settings and the basic financial settings. Sage to Xero migration assistance. All training can be tailored to your circumstances. Click the button below, fill in a few details and we will be in touch to discuss what you need. Where you need assistance beyond the standard online support. What Xero training is available? 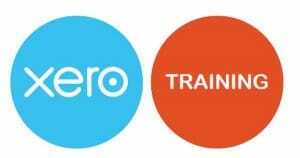 Details of the Xero training offered by The Smart Accountants can be found further up on this page. A range of sessions are provided, ranging from how to set Xero up and moving on to more advanced knowledge. All training is customisable and the format can be agreed in advance. General sessions are either in 2-hour or half-day blocks, but in reality, any length of time can be catered for depending on circumstances. If you need more or less in certain areas then things can be adjusted as needed. Similarly, Set Up Guidance and Migration Help sessions can be tailored depending on the scale of the task that is needed. What about a training course? At this stage, there is no all-encompassing course but there are plans to have online modules that can be accessed as and when necessary. In the meantime, Xero provides some training videos here, ranging from general bookkeeping through to a detailed look at aspects such as payroll. Are the Xero courses online? Courses can be delivered face-to-face or online. In order for face-to-face training to be viable, it needs to be not too far from the location of our offices. Most of the sessions are delivered online and GoToMeeting provides an excellent combination of video interaction and screen sharing. What about a more general bookkeeping course? A Xero bookkeeping course or more general bookkeeping education can be arranged upon request. Do you give accounting training or accounting courses? Similarly to bookkeeping, accounting courses can also be arranged to cover aspects needed to take bookkeeping data and make adjustments necessary for producing accounts and tax returns. Are there any tutorials or workshops? As Xero accounting experts, The Smart Accountants regularly hold workshops, the details for which can be found here. These workshops are an ideal introduction to Xero and with only a few attendees at each, it is a perfect chance to ask questions specific to your business. As with training courses, the workshops are held both at our offices and online via GoToMeeting giving access to the widest audience. Does Xero hold a conference? There is an annual conference in the UK called Xerocon. For 2017 it is being held at ExCel, London on 4-5 October. Details can be found here. Whilst the event is open to anyone the audience tend to be predominantly accountants and advisors looking to get up to date with developments and opportunities for their clients.